In addition to its four lithium projects in Nevada, USA, Reedy Lagoon continually seeks and assesses new lithium brine projects and has secondary projects targeting iron-ore in Western Australia and uranium in South Australia. RLC retains an interest in its Edward Creek project focussed on the Victory prospect where anomalous uranium and REE (rare earth element) mineralisation has been identified. Field investigation of an airborne radiometric (uranium) anomaly in 2010 identified anomalous levels of uranium and REE which led to the initiation of the Victory prospect. All interests in diamonds within the project area (EL 5580) are held by unlisted diamond explorer DiamondCo Limited. 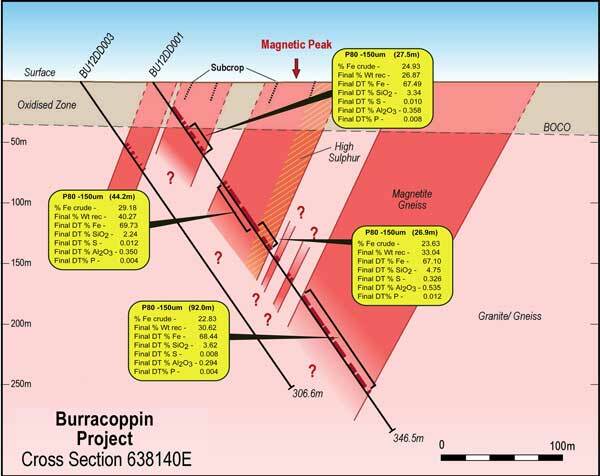 The project was explored by the Edward Creek Base Metal Joint Venture ("ECBMJV") from 30 June 2003 until the joint venture was terminated by RLC on 9 June 2009. The termination and the forfeiture of joint venture interests to RLC resulting from the termination has been disputed by the other parties to the joint venture. RLC considers the dispute to be baseless and that it holds a 100% interest in the tenements which were previously the subject of the joint venture. The Edward Creek Project area is located on the interpreted north-eastern boundary of the Gawler Craton. The western parts of the Project area are on the Gawler Craton. Along the Project's eastern side local geology is dominated by a group of four Precambrian inliers known collectively as the Denison Inlier. The Denison Inlier was uplifted, about 11 - 25 million years ago, by block faulting to form the Peake and Denison Ranges. The Project area extends eastward over the western margin of the southern most inlier (Margaret Inlier) which forms the Davenport Range. The rocks of the inlier are prospective for copper, gold, lead, zinc, and uranium. In the western part of the Project area Cainozoic, Mesozoic and minor Permian sediments outcrop and on-lap the basement inlier to the east. Rocks comprising the inlier within the Project area include Early Proterozoic metamorphics and Late Proterozoic (Adelaidean) sediments and volcanics (including andesite, dacite and rhyolite). Ordovician diapiric breccia, monzonite and dolerite dykes intrude the inlier. Extensive chemical weathering, represented by a widespread zone of alteration in rocks underlying the Jurassic sediments, is likely to have leached and reduced the geochemical signature of underlying mineralisation. Victory prospect: mapped surface geology, ground spectrometer survey results (uranium) and selected assay results from surface sampling (July-September, 2010). Ground spectrometer surveying in 2010 investigated an airborne radiometric anomaly and identified anomalous uranium to establish the 'Victory' uranium prospect. The 2010 ground survey identified an area of about 6.5 hectares within which Gamma-Ray Spectrometer readings were above about 5 times background. Within this area a strongly anomalous linear zone measuring approximately 20 metres by 100 metres was identified. Results from 52 surface rock chip and soil samples collected from the Victory prospect in August 2010 include several samples with anomalous uranium. Maximum uranium assay was 412 ppm for a "grab" sample from 30-35 cm depth in the bottom of a shallow pit within the strongly anomalous linear zone identified in the ground spectrometer survey data. The sampled material was an intensely weathered, kaolinised, fine-grained rock. It also assayed 0.39 % total rare earth elements (+ Yttrium) ("TREE+Y"). The extent and thickness of this mineralised material are not known. 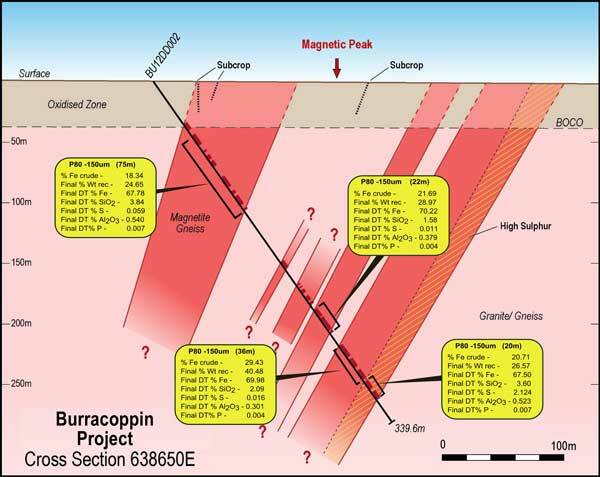 Other results from the Victory prospect include elevated copper-uranium-cobalt in weathered metamorphic rock (1320 ppm Cu, 60.3 ppm U, 1250 ppm Co, 361 ppm Zn, 7.87 % Mn) and in ferruginous material associated with a weathered basic dyke (1420 ppm Cu, 58.3 ppm U). These results are interpreted to represent secondary enrichment due to weathering effects and therefore unlikely to be of economic significance in themselves, but they may indicate the presence of primary source mineralisation in the vicinity. Maximum gold assay was very low but anomalous, at 0.067 ppm Au. It was from a weathered quartz vein along the margin of the principal uranium anomalous zone. The Edward Creek area was targeted in the early 1970s for uranium exploration by Uranertz (Australia) Pty Ltd. Uranertz focussed on the unconformity between the late and early Proterozoic rocks. Part of this unconformity lies a few hundred metres east of the current Victory prospect and was identified here by Uranerz as an "area of detailed investigation". Reconnaissance helicopter and fixed-wing surveys were flown over this and other areas, but the unconformity here is under surface cover. The flight lines did not pass over the adjacent Victory prospect area, where uranium-bearing weathered basement rocks have now been found. Uranertz's best assay in this area was only 20 ppm U3O8, compared to the best to date at the Victory prospect of 418 ppm U. The anomalism at Victory may be marginal to prospective zones under cover, at or near the unconformity.